Nevermind Columbus [ducks]. Happy Leif Erikson Day! 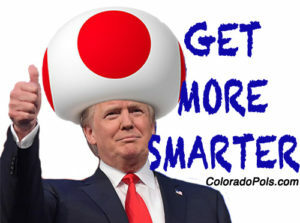 It’s time to Get More Smarter. If you think we missed something important, please include the link in the comments below (here’s a good example). If you are more of a visual learner, check out The Get More Smarter Show. Trump praised the work of the former governor of South Carolina, who was confirmed as U.S. ambassador to the United Nations shortly after Trump’s inauguration last year. Trump said Haley first told him about six months ago that she would like to “take a little time off” at the end of this year. Nevertheless, the announcement surprised many in the Trump administration. 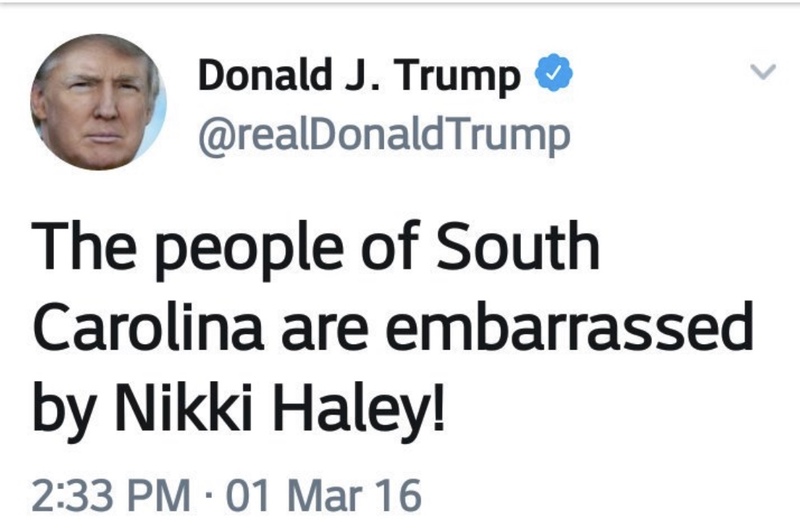 Trump said he is hopeful that Haley will return to the administration at some point, perhaps in a different capacity. As the Associated Press reports, Haley’s departure came as a surprise to key U.S. allies, as well as many Congressional Republicans active in foreign policy areas. ► Republican gubernatorial candidate Walker Stapleton might actually be getting worse as we get closer to Election Day. Over the weekend, Stapleton had a bizarre debate moment where he struggled for 14 seconds to repeat two numbers intended to support whatever argument he was trying to make. On Monday during a debate in Pueblo, Stapleton was booed by the crowd for making an awful joke suggesting that Democrat Jared Polis encourages his young children to smoke marijuana. With a month to go until Election Day, there are now 209 seats either firmly or leaning in the Democratic column — only nine shy of the 218 the party needs to wrest away control of the chamber — according to the latest update of POLITICO’s race ratings. The ratings, which reflect extensive reporting on the state of the 23-seat GOP majority, evaluations of both parties’ strategies, historical trends and polling data, reveal Democratic candidates have grabbed the lead in a number of House districts — including some with longtime GOP incumbents. Republican outside groups have already started cutting off funding to some races in which prospects had dimmed. The GOP still has a path to keep the House, but it would require either a near-sweep of the toss-up races or a significant change in the political environment in the final four weeks of the campaign. According to a new poll from CNN, Democrats have widened their lead in the “Generic Congressional Ballot” to 13 points. If you are a Wall Street executive looking to land a lucrative contract to manage Colorado retirees’ pension money, a federal anti-corruption rule is designed to deter you from trying to use campaign cash to influence state officials who oversee those investment decisions. Despite that regulation, however, Colorado State Treasurer Walker Stapleton’s gubernatorial campaign is being boosted by a political group partially sponsored by financial firms that receive giant investments from the pension fund Stapleton helps run. During Stapleton’s tenure as a trustee of the Public Employees Retirement Association, four real estate investment firms have been given contracts to manage more than $1 billion of Colorado state employees’ retirement savings. During the 2018 election cycle, donors from those firms have delivered more than $492,000 to the Republican Governors Association, which has been blanketing Colorado with ads supporting Stapleton’s candidacy. In addition, members of a Denver law firm that is registered to lobby at the federal level for another major PERA money manager have collectively given almost $20,000 to Stapleton’s campaign and to a Colorado-based super PAC whose stated mission is to promote Stapleton’s gubernatorial bid. That is on top of a separate $2.2 million in anonymous dark money that has flooded into super PACs supporting Stapleton — cash whose source is impossible to trace. ► Colorado Secretary of State Wayne Williams is the latest Republican state office holder or candidate to make it clear that he does NOT devote 100% of his time to his elected position. Republican State Treasurer candidate Brian Watson has stated publicly that he will not quit his current full-time job if elected in November. ► Today is Brett Kavanaugh’s first day on the bench as America’s newest Supreme Court Justice. On Monday, the White House held a confirmation/swearing-in party that included some, uh, interesting guests — like Colorado’s Jenna Lynn Ellis. ► A little-known program created through last year’s Republican tax giveaway to the rich allows for new investment opportunities in so-called distressed communities — though it may not be much of a help for the actual communities involved. …Democrats say the spots, aired mostly by the outside GOP super PAC Congressional Leadership Fund and the National Republican Congressional Committee, smack of desperation. In some cases, local Republicans, religious leaders and newspaper editorial boards have denounced the attacks. The aggressive tactics highlight a party grappling to save its majority. Many of the Democrats who’ve come under attack have short or nonexistent records in political office, leaving Republicans to pick over their personal lives for any scraps to use against them. Many of these terrible ads are running in Colorado’s Sixth Congressional District. Westword examines the worst of the worst. ► As the Colorado Sun reports, the race for Congress in CO-6 is among the most expensive in the entire country. ► Colorado teachers are hitting the pavement to tout Amendment 73, a school funding ballot measure. ► The editorial board of the New York Times can’t understand why the Trump administration keeps trying to prop up a dying — and dangerous — coal industry. ► NBC News reports on a record number of LGBTQ candidates running for election for higher office in 2018. ► President Trump APOLOGIZED TO BRETT KAVANAUGH on Monday for having to deal with multiple accusations of sexual assault and misconduct. ► Republican State Senator Tim Neville is hoping to get re-elected by insinuating that Democratic Gov. John Hickenlooper is a supporter. ► 5280 magazine profiles Tom Sullivan, a Democratic candidate for State House in Aurora whose son was killed in the Aurora Theater Shootings.